Soft pink Rose Quartz Seer Stone Crystal with a polished flat face and frosty white on the sides. Seer Stone is river tumbled quartz formed in the Elbe River in Southern Brazil. Seer Stone is also known as Window Crystal, Dreamer's Crystals and Emma's Egg. Rose Quartz Seer Stone Crystal may assist one to see into the intuitive "window" revealing a world of wonder of the quartz inside. Rose Quartz connects to the heart chakra and promotes universal love. 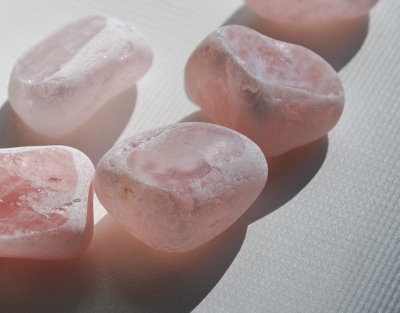 Rose Quartz is the stone of unconditional love and infinite peace. Rose Quartz teaches the true essence of love. 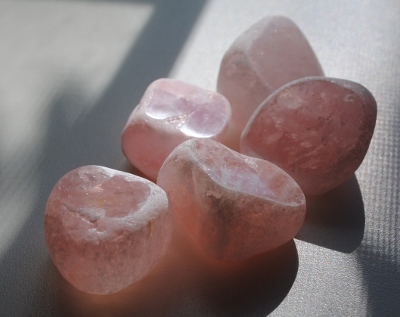 Rose Quartz purifies and opens the heart on all levels and brings deep inner healing and self-love. 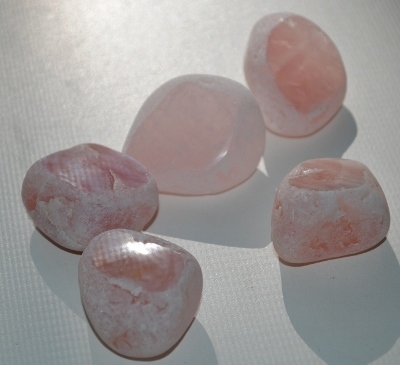 Rose Quartz is calming, reassuring and encourages forgiveness and acceptance of self and others.